New luxury condo located in the heart of downtown Carmel. This impeccable craftsman-style residence was designed by noted architect Eric Miller and built by Stillwater Construction using the highest quality finishes, fixtures, and appliances available. The grand spacious great room with fireplace, soaring ceilings, and gourmet kitchen with heated Calacatta marble island countertops incorporates seamlessly with dining and family living space opening to a spacious sun deck. The master suite has a large and stunning bath with walk-in closet. The second master suite is on the main level for a total of 2262 sq. ft plus additional storage. There is radiant heat, an elevator, and huge secure underground parking garage for two vehicles. A Zehnder high performance air management system provides fresh air circulation throughout the home. Three huge foyer common areas are incorporated in the floor plan. Excellent quality, excellent location, and excellent value. Located in the residential commercial district, the property currently has a permit for short-term vacation rentals. Enjoy all that Carmel has to offer at your doorstep. Carmel's Otter House. Located in the Golden Rectangle, this bright and cheerful light-filled home enjoys a sunny southern exposure with treetop vistas of Lobos Ridge and the Valley hills. All on 1-level with a spacious open feel, the home consists of a comfortable living room featuring a dramatic stone fireplace, skylights, and hardwood floors. The functional kitchen with quartzite countertops opens to an inviting family room. The pleasant dining room overlooks a private brick patio offering opportunities for enjoyable outdoor living. 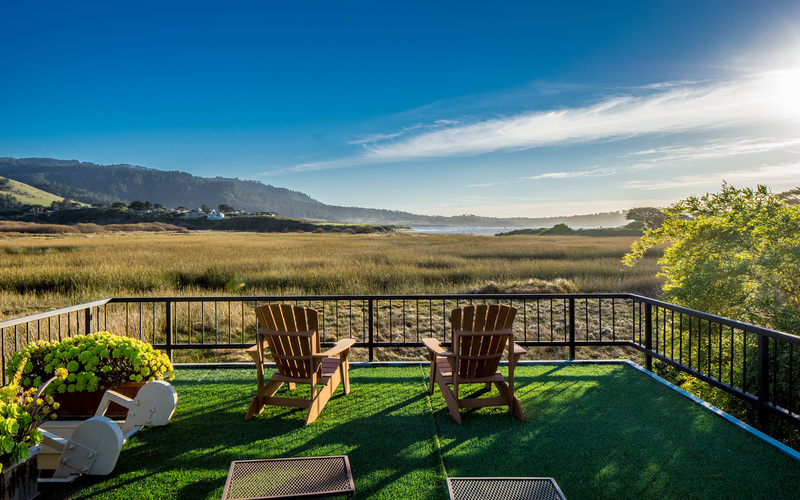 With 2 private master suites and easy access to the beach and the shops and restaurants of downtown Carmel, Otter House would be the perfect vacation getaway or permanent residence. Located on Carmel Point just 1-block to Carmel River beach and a short stroll to Carmel's white sandy beach, this recently renovated sophisticated beach home features an open-concept floorplan, with beam-ceiling living room, limestone fireplace, hardwood floors, a new kitchen with custom cabinets and Taj Mahal quartzite countertops all opening to an ipe deck to enjoy the outdoors. With 3 bedrooms, 3.5 baths and just under 2,000 sq ft, the home would be a perfect vacation home or permanent residence. 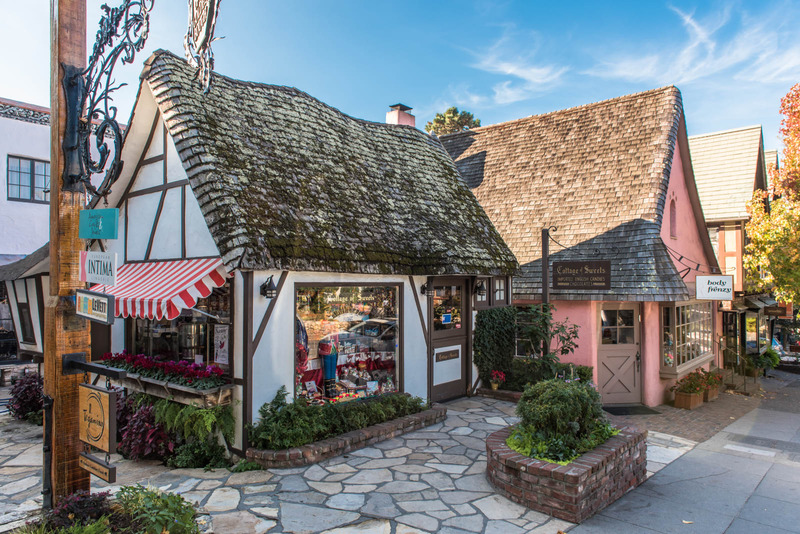 Tid Bit is a charming Carmel cottage located in the heart of the Golden Rectangle just 3-blocks to the shops and restaurants of downtown Carmel and 4-blocks to the beach. The home features a cozy living room with beam-ceiling, oak floors, and a warming fireplace. The renovated kitchen boasts limestone countertops and opens to a dining area with an adjacent deck. The upstairs master suite enjoys views of the ocean with a private balcony. There as a second master suite on the lower level opening to the backyard. With 2 master suites and a small den/3rd bedroom, Tid Bit would be a great getaway or permanent residence. This Mission-style home with a contemporary flair is all on one level with clear-story windows to bring in light. The home features living room and dining room with hardwood floor and beam-ceilings, and custom cabinetry by master craftsman Ambrose Pollock. The gourmet kitchen offers colorful quartzite countertops, custom soft-close drawers, and brand-new appliances including Wolf range and Sub Zero refrigerator. There are 3 bedrooms and 2 baths, including a private master suite with generous closets and patio access. This sophisticated Carmel High Meadow Townhome features designer touches incorporating the use of rustic hand-hewn beams, European plank wood floors, a natural stone fireplace, and has a newly renovated bright and a cheerful kitchen with soapstone countertops and copper farm sink. 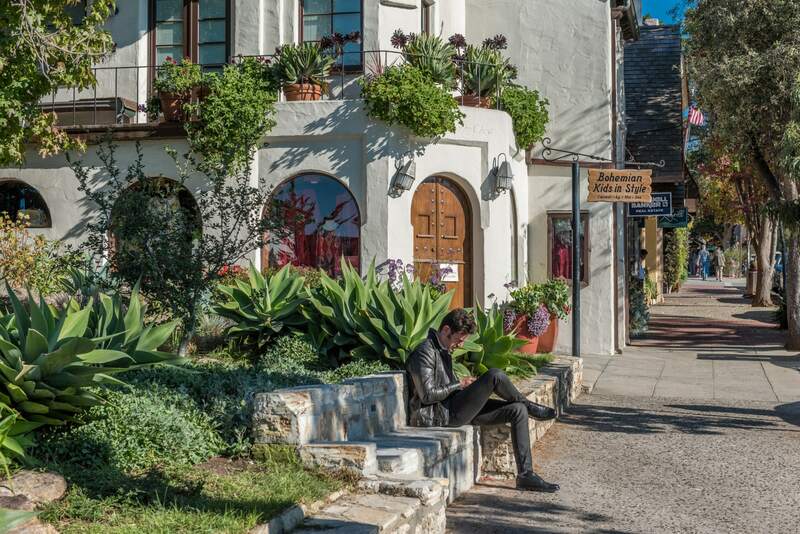 In the highly-acclaimed Carmel School District, the property is conveniently located with easy access to all Peninsula points and just minutes to downtown Carmel and the beach. This comfortable 3-bedroom plus den, 3-bath townhome with spacious 2-car garage offers a versatile floorplan with a private lower level suite opening to a patio with separate outside entrance. The property enjoys the use of the High Meadow swimming pool. The property would be an excellent primary residence or a lock and leave second home. Carmel is a village that is known for its timeless appeal with quaint cottages, unique shops, delightful cafes and unparalleled scenery. It has continued to please generations of visitors and residents alike. It is touted world-wide as an ideal place to live. 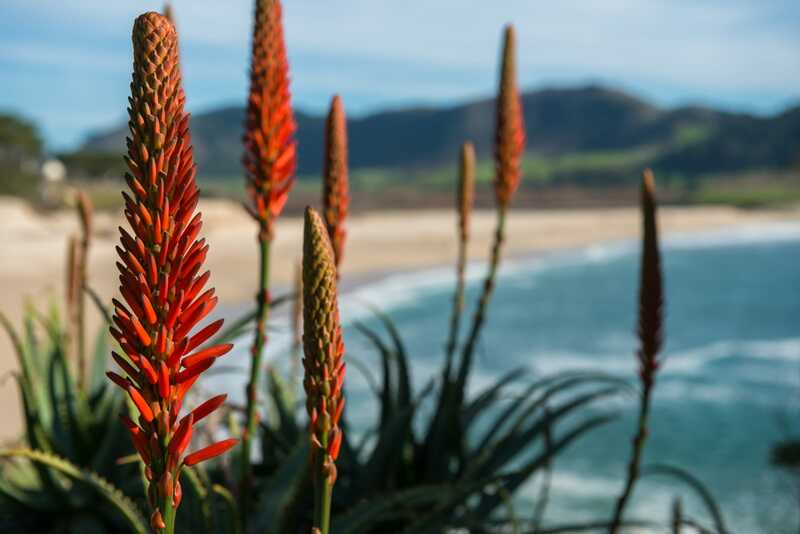 Founded in 1902, Carmel is known for its picturesque scenery and rich artistic history. 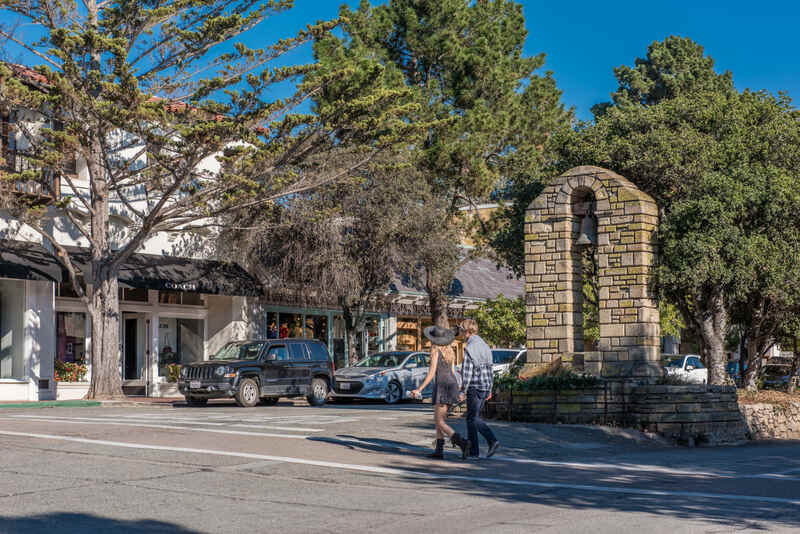 A town once dominated by writers, poets and actors, Carmel-by- the-Sea retains a whimsical charm unlike anywhere else while offering some of the most unique luxury real estate on the coast. The Carmel real estate market offers a unique assortment of homes ranging from quaint cottages near town to high-end beachfront properties. 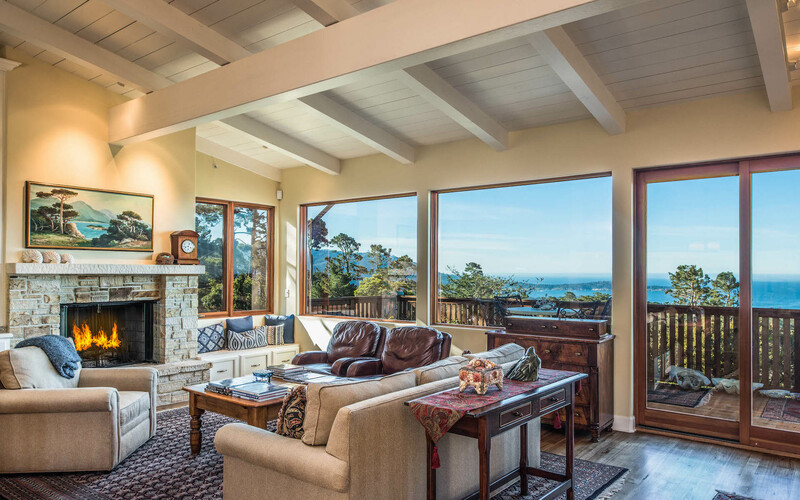 The rare mix of architecture found in Carmel makes for an exceptional assortment of properties that await discovery for a discerning buyer shopping for their dream home. Tim Allen has long learned the intimate knowledge of the nooks and crannies of the various Carmel neighborhoods. From Carmel Village to The Point, from Carmel Woods to the Meadows, this is where Tim thrives. 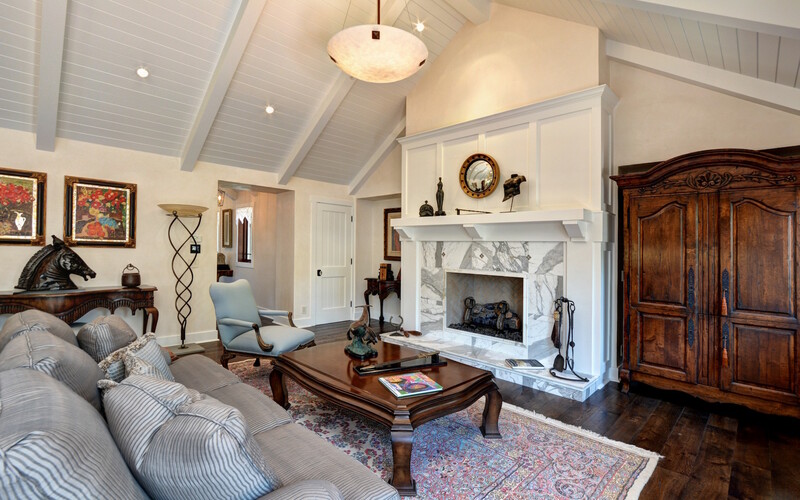 Throughout the time he has spent in Carmel he has restored a historic Carmel Landmark, known as “Seastone”, purchased countless homes for renovation, and has handled more Carmel transactions than any other agent. A rectangular area, 80 square blocks in size, outlined by Ocean Avenue, Scenic Avenue, Santa Lucia and San Carlos (Southwest Carmel). House makeup is most commonly 3 bedroom, 2 bath homes of around 1,600 square feet on a 4,000 square foot lot, although larger properties are also available. Properties in the Golden Rectangle are within easy walking distance to all the town has to offer as well as easy access to Carmel Beach. The real estate found in the Golden Rectangle is arguably Carmel’s most sought after and sale prices reflect this fact accordingly. The topographic makeup lends a level of desirability due to the gently sloped streets making it a very walkable area. 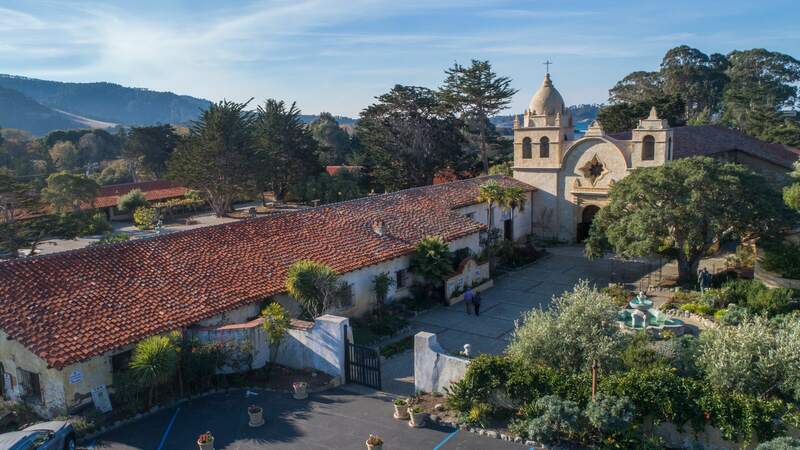 Just south of the Golden Rectangle, popular landmarks on the point include the Carmel Mission, Carmel River State Beach, Stewart’s Cove and Carmel Mission Ranch. 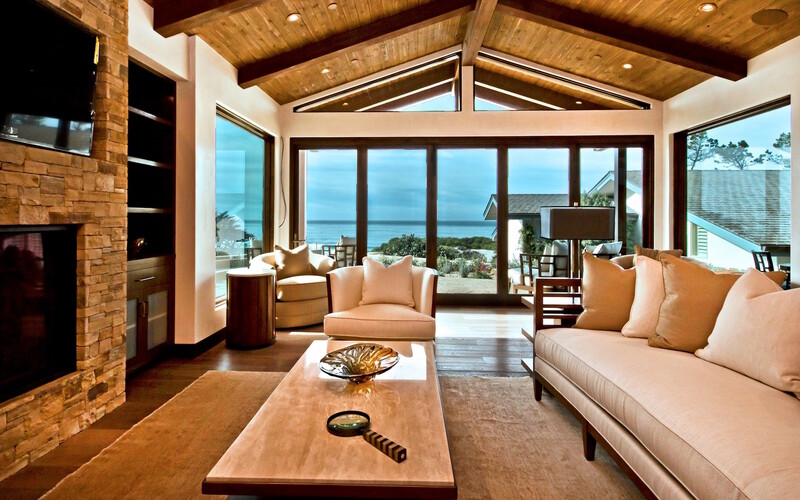 Homes on Carmel Point still remain within walking distance to Carmel Beach as well as Carmel River State Beach. Carmel Point falls just outside of the town limits of Carmel-by- the-Sea and homes here enjoy easy access to all the Monterey Peninsula’s attractions.